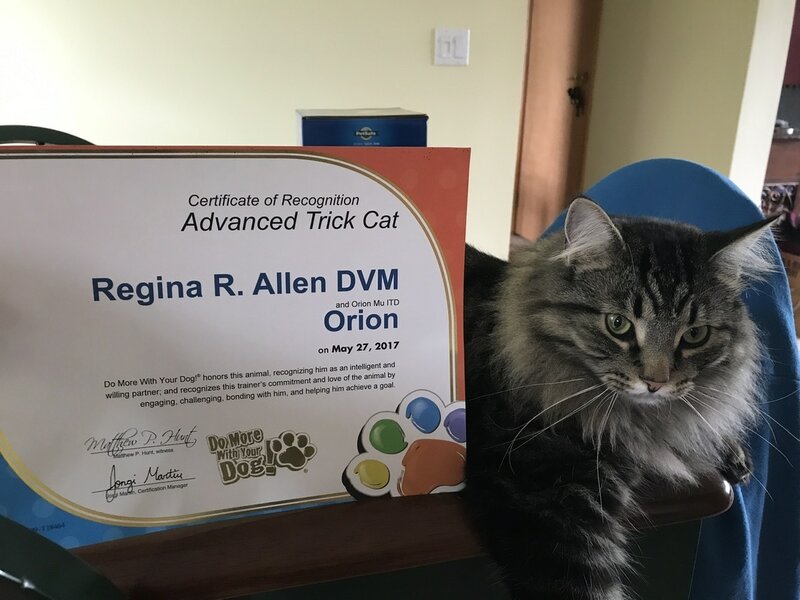 Orion Mu - The Advanced Trick Cat! Orion Mu is a grey stripey cat who was a rescue from Ohio. He is the smartest cat that I've ever met or owned! Orion earned his Novice, Intermediate, and Advanced Trick Titles from Do More With Your Dog!, and is currently working on his Expert Title. He is completely clicker-trained, demonstrating the "magic" of the clicker when working with different species. A young Orion showing off his Mu collar tag.